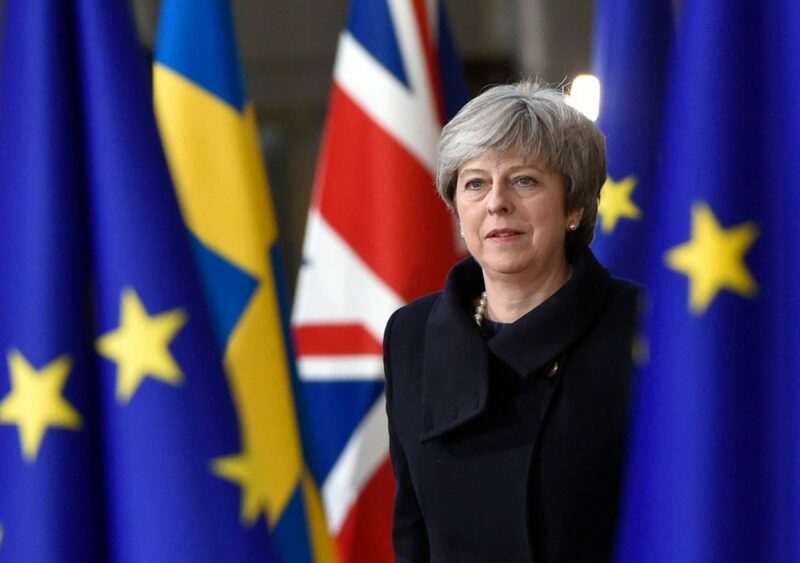 The first option is No Deal: Parliament rejects the Prime Minister’s proposal and no alternative proposal commands a majority. Unless Parliament makes a positive decision to choose another course, the default option is that the UK will leave the EU on 29 March 2019, without a WA. In the short run, this would cause considerable economic disruption. Airlines might be grounded, supplies of pharmaceuticals and nuclear fuel could be disrupted, and long delays in the time-critical supply chains across the Dover Straits would cause shortages of fruit and vegetables and other goods on the shelves of UK supermarkets. It’s hard to predict how long the short-term disruption would continue, and hard to quantify the economic costs with more precision than “huge”. Some big costs would be long-lasting: customs delays at borders, regulatory obstacles and tariff barriers affecting both the just-in-time supply chains and the markets of the car industry would cast doubt on the economic future of the whole industry; most of the European markets of UK agriculture and fisheries would be immediately lost and only some of them might be recovered in the long run. In our Briefing Paper 16, we estimated that trading without a post-Brexit Free Trade Agreement with the EU might lead to a 5.5% reduction in UK manufacturing output; other estimates of the long-term effect on the whole UK economy of trading on WTO terms range between 3% and 7.5% of GDP compared with EU membership. All these estimates, however, assumed a managed and planned exit from the EU. The costs of tumbling out of the EU without a WA would be much greater. The huge costs of short-run disruption have to be added in. Short-run disruption will also have long-lived negative economic effects. In economic terms this is not an attractive option: to be blunt, it would be an economic disaster. Some Brexiters argue that the No Deal scenario opens the doors for Global Britain to enjoy the benefits of signing Free Trade Agreements (FTAs) with countries such as the USA and Australia. Our work suggests that even if the UK managed to sign Free Trade Agreements with all other countries in the world, the mitigating benefits would be much less than the costs of No Deal. Costing this option is harder because the WA is only the exit treaty and the PD which sketches the long-term EU-UK relationship is necessarily vague. There are pointers to the long-term but they are only pointers. The WA agreement provides a solution to the Irish border problem partly through a “temporary” customs arrangement. Since that arrangement can come to an end only when a different and, as yet, unknown solution to the border problem is found, it is wise to assume that the reality will be very close to a long-term customs union between the UK and the EU. There will also have to be regulatory alignment in goods between Northern Ireland and the EU, which will mean, in practice, regulatory alignment in goods between the whole UK and the EU. No one has yet modelled the economic consequences of this particular package of UK-EU arrangements in which there would be no tariffs and no need for customs inspections at the borders, but UK goods and services would face some regulatory costs in accessing the EU market. In our earlier modelling, we estimated that being out of the Single Market and the Customs Union might lead to a fall in UK manufacturing output of 4%, but the fact that Mrs May’s Deal keeps the UK in the Customs Union for an indefinite time could reduce this cost to something like 2% of manufacturing output. If one supposed that Mrs May’s Deal lies somewhere between the hard and soft Brexit options modelled in other studies, a long-term reduction in UK GDP in the area of 1-2% might be a reasonable estimate. However, services account for half of UK trade and 80% of GDP and it is very hard to make an estimate of the effect on the services sector of the UK’s exit from the Single Market. The literature can provide estimates of border costs and of the non-tariff equivalent of regulatory costs on goods; services regulation does not happen at the border and takes a wide variety of forms, not easily summarised in a tariff equivalent. It is reasonable to estimate that Mrs May’s Deal has significant economic costs which will, however, be considerably less than the costs of No Deal. Mrs May’s Deal does not deliver the main prizes sought by the Brexiters: there’s little freedom to “strike new trade deals” around the world; limited freedom from EU regulation; little scope for an independent agricultural policy; and it comes at a significant economic cost including a substantial EU exit bill. For Brexiters, this is close to Brexit in Name Only (BINO). However, the fact that the long-term outcome is so unclear may mean that different people might support it for different reasons: Liam Fox MP and Michael Gove MP might support Mrs May’s Deal in the hope that the customs arrangement really will be temporary so that the new trade deals and the independent agricultural policy are only postponed; MPs representing constituencies where jobs depend on trade with the EU might support Mrs May’s Deal in the opposite hope that it creates a permanent Customs Union; others may support it just to ensure that the UK crosses the Brexit line without a ‘People’s Vote’. This points to a wider problem with Mrs May’s Deal: it creates the prospect of a prolonged period of uncertainty about the UK’s trade arrangements. March 2019 will not be the end of the story. The WA provides for a standstill transition until December 2020 (or even longer) during which nothing much changes in the economic relationship between the EU and the UK. By the end of 2020, only the bare bones of a UK-EU FTA could be agreed, and only if it includes a solution to the Irish border issue. The UK will almost inevitably commit to remaining close to EU regulation in both goods and services and in areas such as environmental regulation and state aid. There is also a reasonable prospect that in both goods and services the UK will face relatively low EU regulatory barriers as well as zero tariffs past January 2020. However, the UK will still be in a customs union and we’ll be a long way from an agreement in agriculture that would allow the UK to diverge significantly from the Common Agricultural Policy. Many members of the UK Government would happily have signed up to a hard Brexit which would be disastrous for much of UK manufacturing. The Irish border problem has forced at least some of them, reluctantly, to sign up to Mrs May’s Deal. They will be campaigning in the coming years for an early exit from the customs arrangement, and potential foreign investors in the UK now know that their interests do not rank high in the priorities of many ministers. A climate of uncertainty is uninviting to firms contemplating making long-term investment in the UK economy. In Briefing Paper 23, Ilona Serwicka and Nicolo Tamberi show that following the Brexit vote, inward investment in greenfield projects has already been 16-20 per cent lower than it would have been if the UK had voted to remain a member of the EU. The uncertainties of Mrs May’s Deal are likely to exacerbate and prolong the decline in investment. Parliament has other options. It could decide to remain in the Single Market as well as the Customs Union. The non-EU countries in the European Economic Area (EEA) are not in a Customs Union (CU) with the EU, indeed their membership of the European Free Trade Association prevents this. But if the UK Parliament decided to go for an EEA+CU option, it’s very likely that the 27 EU members and the 3 EFTA members of the EEA could agree to the necessary changes to the EEA and EFTA treaties. The WA and the PD would need to be amended too. Then the transition period after March 2019 really would be an implementation period for an EEA+CU arrangement to be completed before the end of 2020. The economic costs of this option would be very low compared with the status quo of EU membership. The UK, as a member state of the EU, successfully litigated in the Court of Justice (CJEU) against the attempt by the European Central Bank (ECB) to move the lucrative trade in euro-denominated securities out of London and into the Eurozone: there would now be no barrier to the ECB doing what it has long wanted. More generally, as a non-EU member of the EEA, the UK would have a much-reduced voice in the making of EU rules. In both goods and services, UK producers might face regulations that took less account of their interests than if the UK had continued as a member of the EU. These costs are hard to quantify, but it’s reasonable to predict that they will be relatively small. Brexit would be delivered at a lower cost, with a new and settled UK-EU relationship in place by December 2020. We’d all benefit from certainty. But the Brexiters object that this really would be BINO. The UK would be even more closely tied to the EU than in Mrs May’s Deal. We’d be out of the direct jurisdiction of the CJEU, but still closely tied to the jurisprudence of the CJEU through the EFTA court. Membership of the EEA also means continued freedom of movement of workers between the UK and other EEA members. This too is an economic plus – the clear economic evidence is that freedom of movement makes UK workers and the UK economy better off. And it’s worth noting recent evidence that a majority of UK citizens are content to have freedom of movement continue. The last option is for the UK to abandon Brexit and remain in the EU. There may be formidable political problems and timing problems if Parliament were to choose this option, not least because of the timetable for the 2019 elections to the European Parliament. But the economics is simple – staying in the EU is the least costly option. Mrs May this week noted that it is on the table. These choices are political, not economic. Economists can just point out that the choice is not between two options, No Deal with its disastrous costs and Mrs May’s Deal whose costs are high; it’s a choice between four options of which the last two, remaining in the Single Market and Customs Union or abandoning Brexit, have low and zero cost. That’s as far as economic analysis takes us. Parliament: the next move is yours. It’s hard to fault this analysis but it would have been helpful for it also to have looked also at the option “Canada plus” to which some supporters of Brexit are much attached. On this my thoughts are that, although Canada plus can’t be analysed in detail without knowing what the “plusses” would be, be there some point sthat are clear, at least as regards trade in goods. For example it seems reasonable to assume that one of the plusses is that “Canada plus” could cover all rather than just a large majority products. But the plusses could not include freedom from rules of origin because any agreement that was based on the EU Canada Agreement would be Free Trade Area not a Customs Union and therefore could only provide tariff free trade to goods that met the rules of origin. Such rules are inevitable in FTA, because FTAs by definition do not include a common external tariff. (Being a customs union wouldn’t guarantee that there would be no rules of origin, as there are in the EU/Turkey customs union, but a Customs Union that was fully comprehensive and included adherence to the common “commercial” (meaning “trade”) policy would not need rules of origin.) Rules or origin are incompatible with “frictionless trade” in two ways. First, and most obviously, they require certificates of origin and these have to be checked, almost certainly at the border. Second, ( less obvious but possibly more important) there is “friction” in the compliance costs that arise from the need to respect rules of origin. As regards non tariff barriers, a FTA could set out a basis for “equivalence” in place of the full compliance with EU single market regulations that would be required in an EFTA style agreement. But any change in EU Single Market regulations that was not followed by the UK, or any decision by the UK to change the rules it had inherited from the EU could mean that the EU would withdraw its recognition of the “equivalence” of UK rules so there would be a cost to the UK in the form of uncertainty about the duration of the freedom from non tariff barriers. So the polical gain of the UK having regained the legal freedom to make its own rules would be offset by the economic costs that would arise if it tried to use that freedom, or even was suspected of intending to exercise it. One other thought. Economists can only evaluate the economic costs of the various options. But the various options all entail political costs, which themselves may impose economic costs, quite possible huge ones. There is wide recognition that a new referendum, if it reversed the decision of the 2016 referendum, could provoke a violent right wing backlash. But any form of Brexit, in particular a no deal Brexit could also provoke a violent backlash directed either against the politicians who many supporters of “Remain” perceive as having persuaded voters to vote “leave” with false argument, or, by the supporters of “leave” against the government that “betrayed the people” in the form of Brexit they negotiated; or, most dangerous of all, directed by adherents of one of these points of view against the adherents of the other. It’s hard to evaluate which of the various options would minimise these risksexcept possibly by the thought that the greater the economic disruption, the greater the political risks. I honestly cannot see this happening even if Parliament pushes for it. The UK has already been quite a lot to handle as a current and now exiting EU member. The other EFTA countries will likely have very little desire to admit such a country because it risks destabilizing the EEA. Not in terms of GDP sizes and balances of power or such stuff. But in the fact that inevitably the UK is going to want some kind of exemption to something and will be contemplating the safeguard clauses that will put the functioning of the entire EEA system at risk. Much simpler might be for the UK and EFTA to establish associate membership along the lines of Finland in 1961 (FINEFTA) which was done according to paragraph 2 of Article 41 of the EFTA Convention as was then (done at Stockholm). The equivalent provision would now be paragraph 2 of Article 56 of the current EFTA convention. So the UK and EFTA would form an association, which could allow the UK to accede to the EFTA Surveillance Authority and Court Agreement (and only this Agreement would need to be amended) as well as possibly acceding to some of the FTAs already signed by EFTA on terms agreed by the member states. With the EFTA Surveillance Authority and EFTA Court now having the UK as a party, they could be empowered to act for the UK in the same way as for the EFTA-EEA states, but without the UK joining the EEA directly but instead signing up to an association agreement that replicates the EEA’s provisions and also incorporates a customs union with the EU (the association between the EFTA states and the UK would largely replicate the UK’s current relationship with the EFTA states via the EEA and EU-Swiss bilateral agreements). The EFTA Court could then have a UK judge which sits only in cases concerning the UK while a UK national is added (fully) to the college of the surveillance authority.